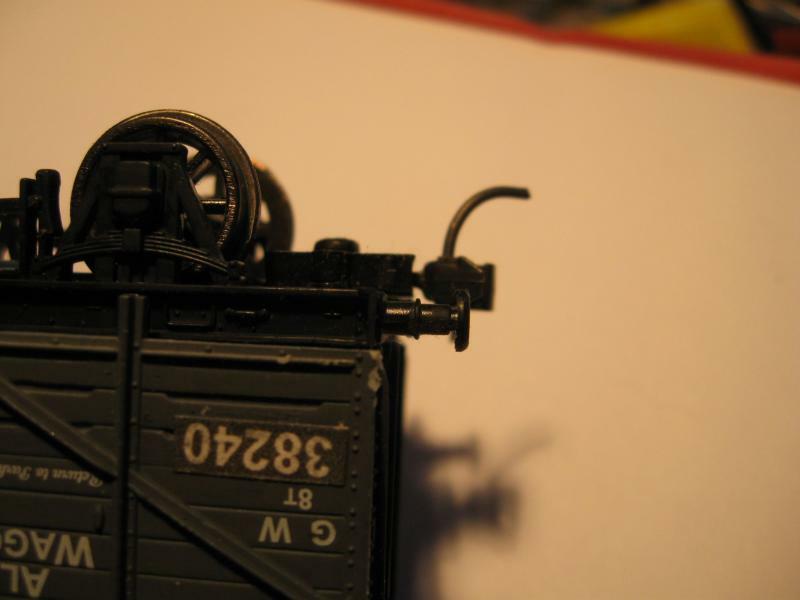 Bit of weathering & it will be on the tracks soon. The other wagon has also been modified & they will join a train of other mineral wagons carting gravel. The poor thing will need counselling. Are you having a mineral dropper in you new two level centre terminus extension? No, the trains go off to storage sidings. They come back later empty. Are they reasonable things to build Ron ? They're the old Airfix kits aren't they ? Looks pretty good after the D & S treatment. Very easy Peter, straight from the Dapol Box. Code B712A - RTR. The hardest part was getting the Kadee onto it. 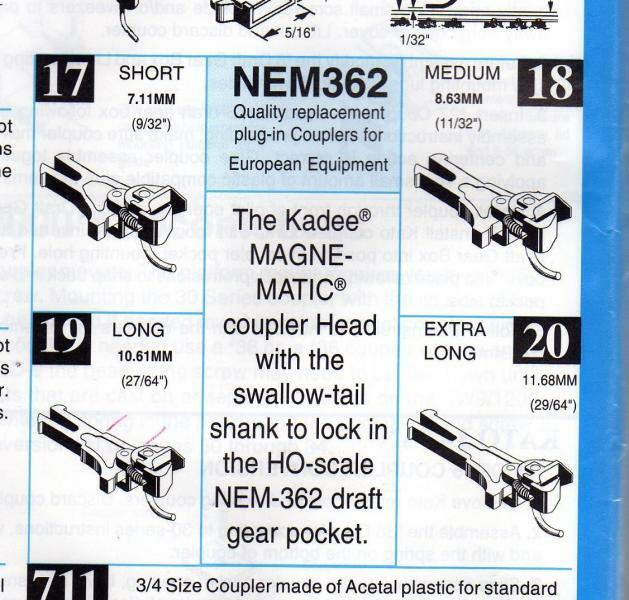 Plugging a Kadee NEM type coupler was too low & too long especially after de-buffering so I had to instal a Kadee 30 series box & a Underset Shank coupler & I even had to cut away some of the plastic underneath to fit the smaller coupler box. 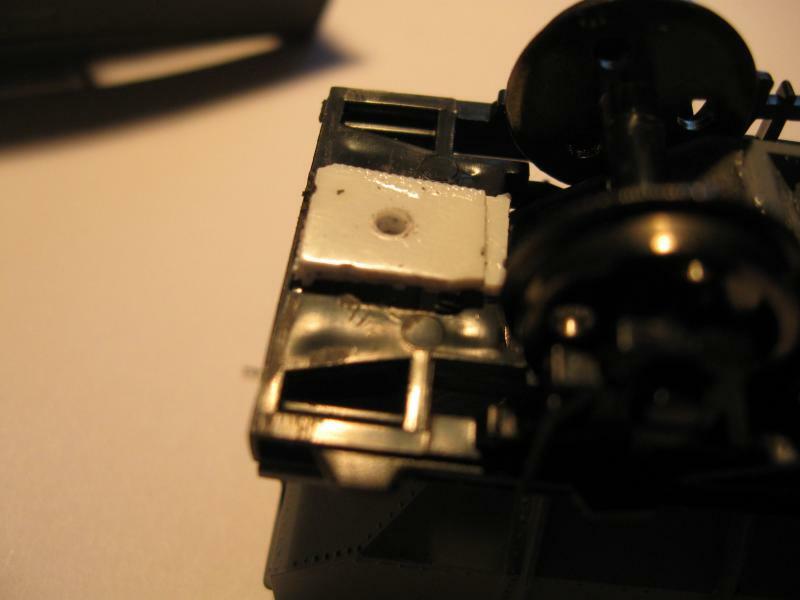 This version of coupler http://kadee.com/htmbord/page37.htm with the box on top of the shank. 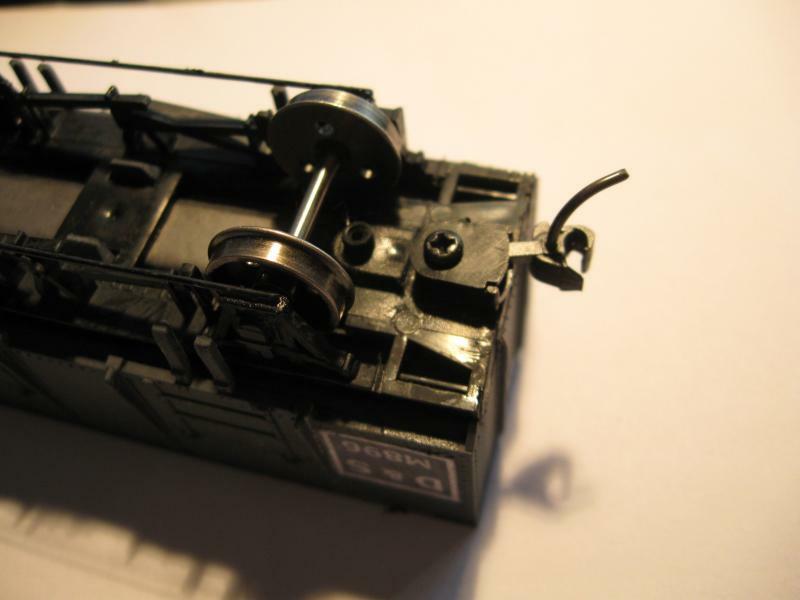 Dapol is the one type of wagon that is stumping me at the moment. I've read elsewhere that some hacking about is required, but not seen any sort of instructions. Do you hold a range of Kadee stuff ,just in case Ron .Or do you go out to purchase to suit the individual pieces of stock? sparky wrote: Do you hold a range of Kadee stuff ,just in case Ron .Or do you go out to purchase to suit the individual pieces of stock? Sol will reply when he's able, no doubt, Reg. For my part, I have some of the most useful bits in stock ready, especially the 3 sizes that plug into the NEM fittings now quite common on British stock. Gwent Rail wrote: .........................................................especially the 3 sizes that plug into the NEM fittings now quite common on British stock. Would you care to share those sizes with me Jeff ? just change the page number to 19 & 20 for the other two sizes & to make it easy, I will scan that page from the catalogue a bit later when I get some photos of what I cut away underneath to fit the box. OK, firstly Kadee couplers - NEM plug in types. 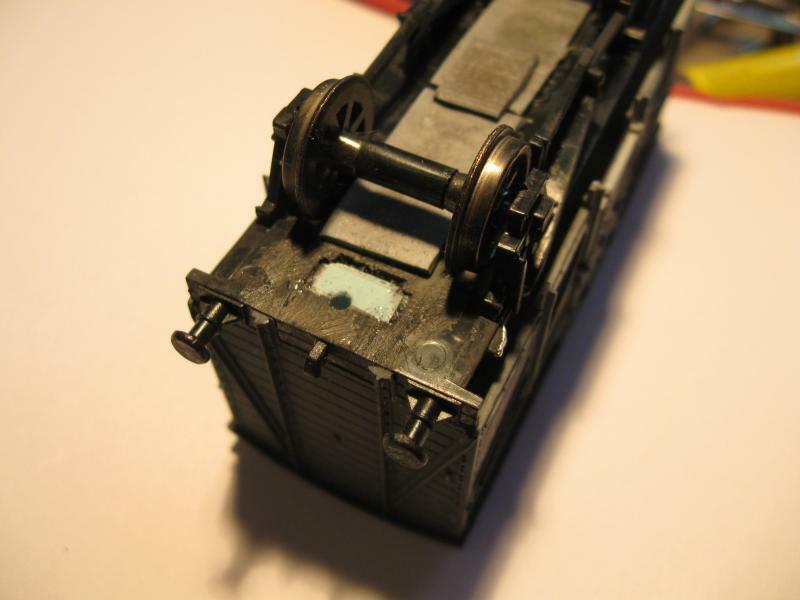 Now the wagon showing the existing sprung NEM mounting & tension lock - normally screwedd in but I turfed the screw & had to hunt through my rubbish to find the two parts again. Now cutting away some of the plastic to allow the box to fit. Even if one left the buffers on, a standard box will not fit without more cutting back. 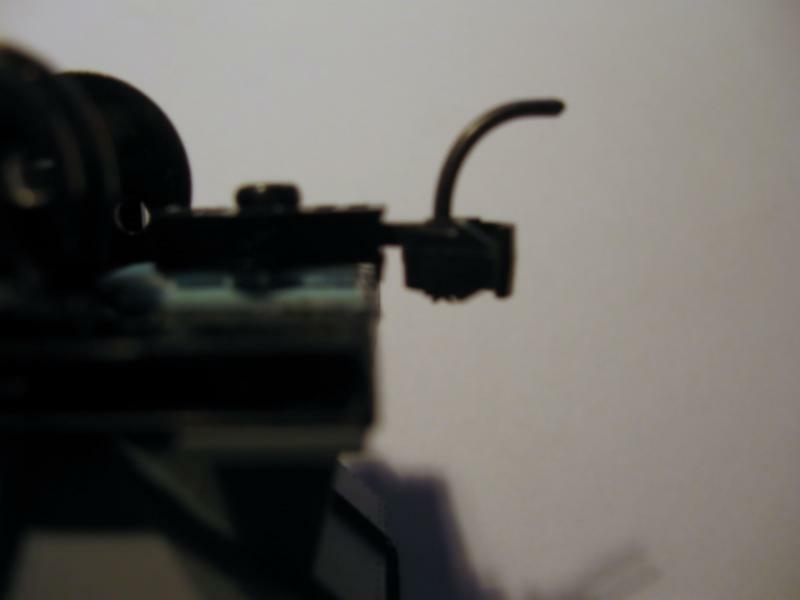 A hole is drilled to take a small screw - self tapping or the Kadee version Part256 which is a 2-56 x 1/2"
Now with the coupler fitted - if still using buffers, then a longer shanked coupler will be required. 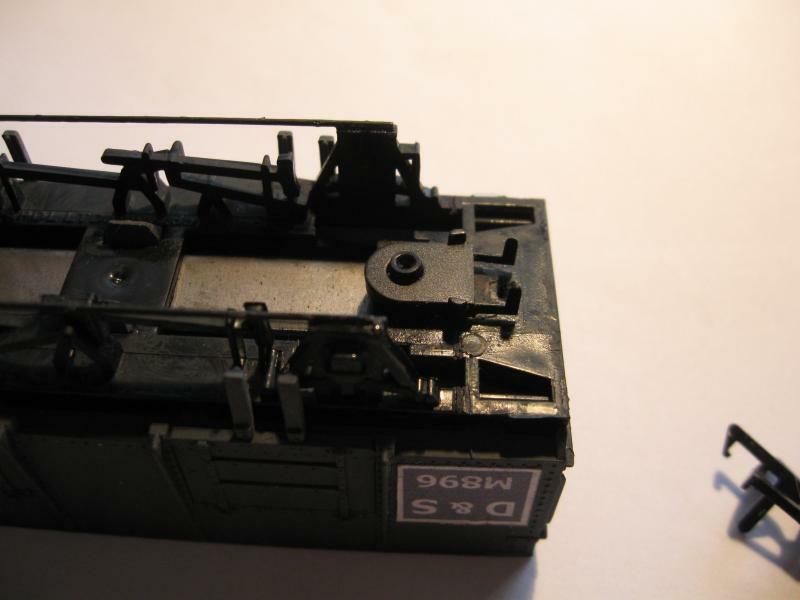 Note that the coupler is not centred as I am using for the photo example, a Whiskered coupler which does not fit into this Series box properly so I am getting the Series 252 boxes via mail this week. 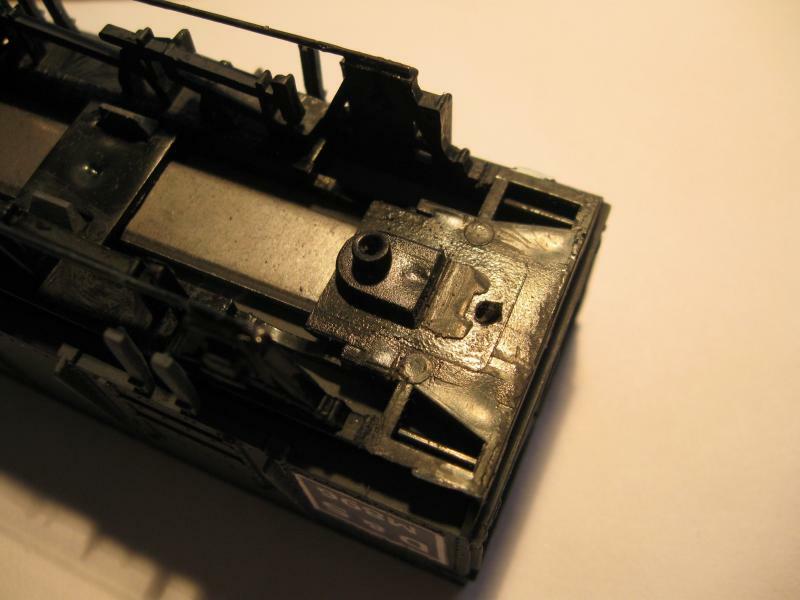 Earlier DAPOL wagons with the larger T/L clipped in requires a complete removal of plastic supports & the glueing on of some styrene to give a base for the Kadee box to be anchored. There are two different earlier versions that I am aware of & both require slightly different actions. Very comprehensive and informative coverage Ron - many thanks. Petermac wrote: Very comprehensive and informative coverage Ron - many thanks. I find fitting Kadees a challenge on some & very easy on others. 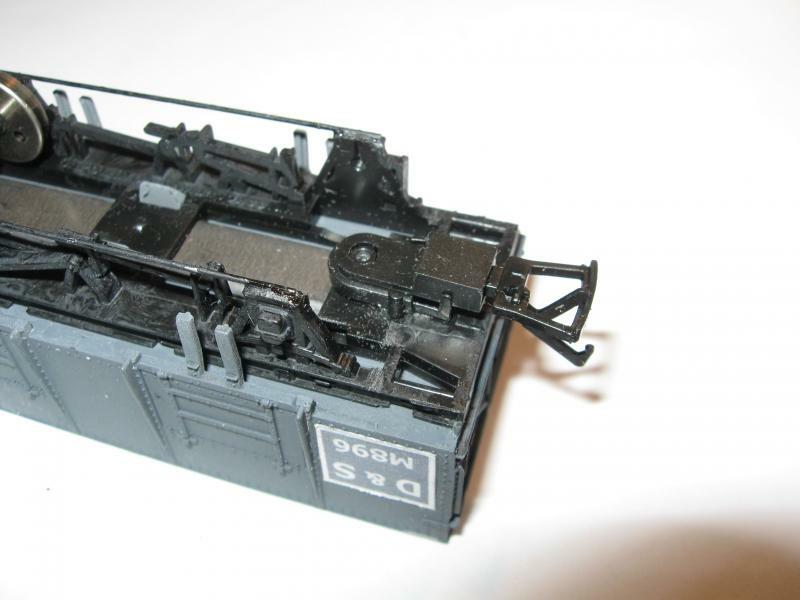 It's the "earlier DAPOL wagons with the larger T/L clipped in" ones that are bothering me, Sol. Now that I'ts been confirmed that a bit of "body hacking" is required, I'll see what I can do. Ron, I was told Kadees aren't the best for my layout as I have a few dips and hills?.. what's your set up like? is it flat? Warren, mine is flat for 90+% but I have had them running on earlier layouts with many ups & downs. 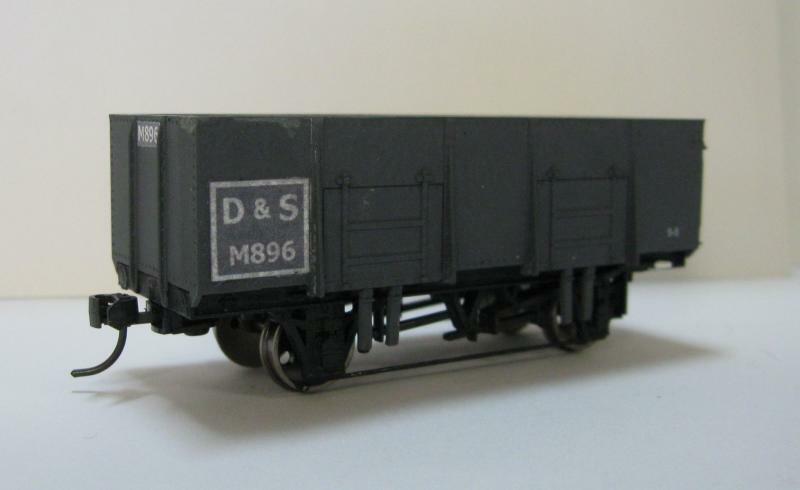 Dips & bumps are no good for any brand of rolling stock especially long wheel based with couplers fitted to the body. Any change of gradient should be smooth & track joins also smooth. A good test of trackwork & rolling stock is to propel a long train backwards through all types of trackwork at some speed without derailing. This ensures rolling stock is weighted correctly, has back-to-backs set all to the same standard & that track work is smooth at all joins. I have found with this process of testing, that Conflat wagons are the worst as it is hard to add sufficient weight to them empty. Even if you do not use Kadee, it has been found that mixing the varieties of tension lock couplings creates problems. I agree with Sol here, Warren. My last layout had two levels (one over the other) which climbed in a 1:39 gradient. I never had any problems with Kadee where the transition from flat to climb was smooth or where the climb was even. I did have one spot where the wagons were uncoupling constantly though - careful examination revealed a depressed section (dip) in the climb about 3" long. I packed some spacers under the diepression to even things out and had no more trouble. The key to reliable working is to get the height exactly right, exact across all the couplings used and without any up and down flop. A Kadee height gauge is vital for this.